For your users to use your currency, they must buy credit packs that you define. 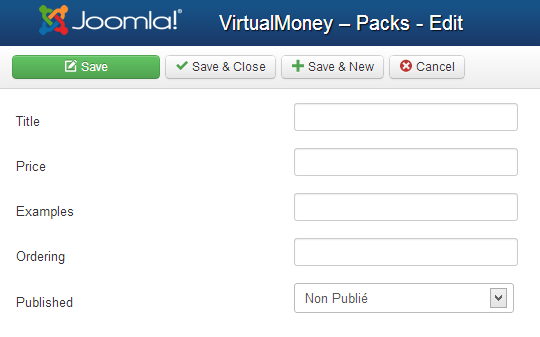 The next page lists the various existing packs, so you can choose to edit or deleted at your convenience. To create a new one, click on the 'New' button. Note: In this form, the fields 'Examples' is your virtual currency. If you called it 'Dollars' or 'Tokens', this label will appear. To create a package, you just have to complete this form and confirm.